In the 21st century, the proportion of wealth distribution among our society is increasingly disproportionate as approximately 80% of the world population lives on less than $10 per day  whilst the wealthy grows ever richer, due to the governmental rules and tax policies imposed on citizen which are actually favorable towards the wealthy while taxing burden on the average masses. This is an unsettlingsituation and a revolution is much needed to the current system. Findings shown there are still many people in the world who do not possessed bank account or credit record. Majority of these people are from remote area or country side, who are either lack of accessibility to banking facilities and networking infrastructures, or facing restriction by national governance boundaries. Banks or financial institutions are also challenged to reach out to them. For instance, a farmer in a remote town in the Philippines are distanced from any loan application either domestic or foreign, for an intended substantial purchase which requires financial support.Unfortunately, the current banking systemand financial institutions seem to be obliged to serve the wealthy while barely being reachable by people living outside developed cities. Whilst we were having a trip to, we met with kids as young as the age of 5 have started to earn a living at the local market or in a farmland, instead of pursuing for their education. We learned that their parents are unable to afford for their education, besidesit is hard for them to secure financial assistance from the local banksand financial institutions due to the lack of legitimatepaperwork required for study loan application. In conjunction to this, they are deemedto be bad pay master as these centralized and heavily regulated financing systems would recognize them as insecure borrower. From that experience, it presented us a thought to help these “isolated” peopleby providing them a financing alternative to overcomethe uncompromising situation they’ve faced. Hence the idea of ROSCAcoin concept was thought out and design to help the “disconnected” people. We see utilizing the Blockchain technology with cryptocurrency is the eventual answer, because it is easy to access in any part of the world without boundaries at a low transactional cost. Apart from that, Blockchain technology enables us to create a decentralized platform to help individuals or businesses to source for investors from all around the world. To make that happened, a solid infrastructure for internet accessibility and networking must be in place. We have had a plan to allocate some investments to construct the infrastructures in these remote area (subject to the local rules and regulation). Our goal is to build a sustainable partnership with the wealthy and businesses whom would invest in the same vision to provide financial solutions and strive the accessibility of financial facilities for the people who needed it the most. Asaccordance to the Grameen Bank, as of 2017, the Bank have around 2,600 branches and nine million borrowers, with a repayment rate of 99.6% . 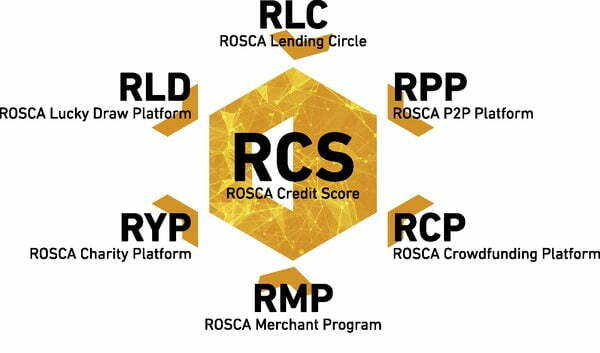 We trust that the repayment rate via ROSCAcoinlending concept would be good if not better than the Bank’s rate, as one’s accessibility to funding and investments via our platforms are much simpler and interesting. This is the main platform which basedupon the ROSCA methodology. 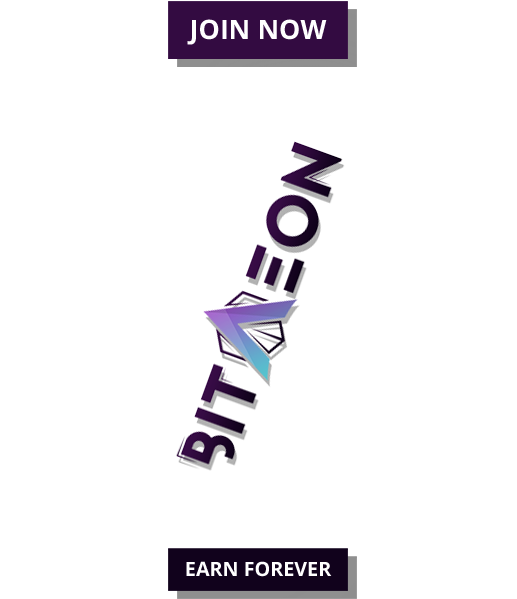 As it is popular in third world countries, hence we decide to start our ecosystem with the RLC and building the community from hereon. We understood that it would be hard for those without a bank account to have their own credit capability rating. Hence we decide to build the credit score system that may help them in future when bank or financial institution would consider the use of our credit score record as legit reference document. 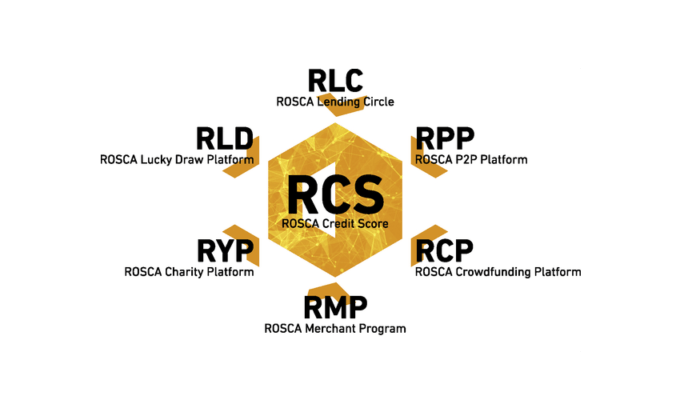 Through the ROSCAcoin community, we can establish a merchant program for themembers to trade goods and services using ROSCAcoineither locally or overseas, in addition able to be free of currency exchange losses. 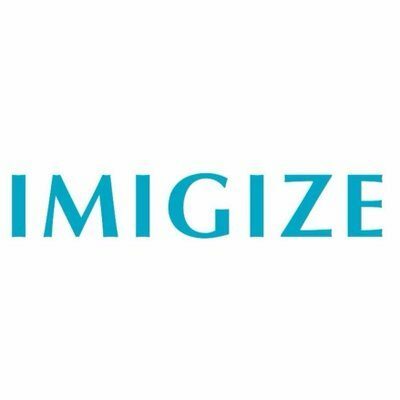 This is the Peer-to-Peer lending platform which surpasses the conventional regulatory complexity of bank and financial institution that able to provide financing at lower cost to borrower. The two types of crowdfunding in terms ofSoft crowdfunding (investment pool, etc.) and Hard crowdfunding (machines/IoT/physical asset), are able to help the people needed to raise capital fund faster and easier. 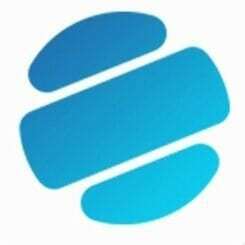 The purpose of this platform is to fulfill our Corporate Social Responsibility and we believe that through the adoption of Blockchain technology, fraud and biasness on the disbursement of charity fund will be governed and channeled to the rightful recipients. Everyone loves lucky draw. This is a fun and interesting platform that gives all participating ROSCAcoin user the chance to win a gift from us every quarterly of a calendar year. Merchandising of goods and services. Construct internet and network infrastructure in remote area. Locate and placeROSCAcoin Kiosks machine in remote area to provide convenience to our user. Last but not least, we hope that more people will join our community which not only benefits themselves but others as well. Let’s contribute our best to make this world a better place.